A fee of £17.50 is charged to issue, renew or replace a UK Press Card. The ID card will carry the BAJ logo in the top right-hand corner identifying the BAJ as the issuing gatekeeper. 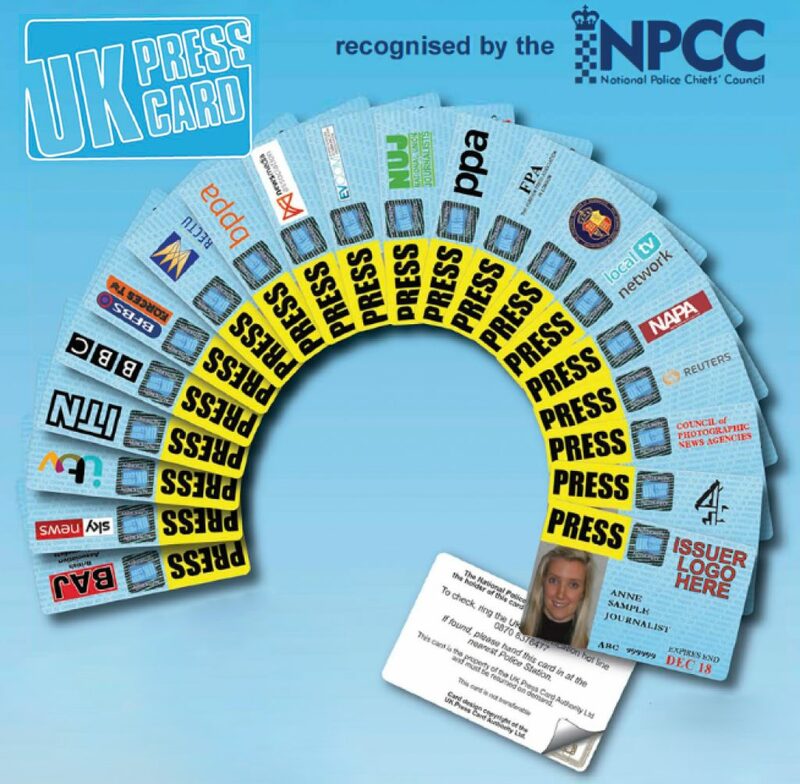 * ‘UK Press Cards’ are subject to meeting strict criteria laid down by the UK Press Card Authority that the BAJ must follow for the issue of ID cards. 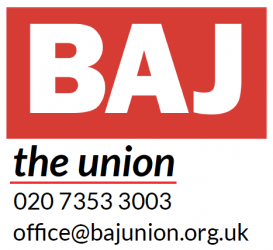 Membership of the BAJ does NOT guarantee entitlement. Please allow ten working days for your application to be reviewed, verified and processed. You will need to supply a passport style image of yourself with your application form. Proof of identity, e.g. passport, driving licence etc. together with proof of home address. Samples of verifiable published freelance journalistic work. Verifiable original signed letter on official headed paper, from the editor or managing editor of a recognised UK registered national or regional media outlet, certifying that the applicant produces paid work for them regularly. Applicants can not supply letters signed by themselves. Photocopies, scans or PDF files from the editor or managing editor of a recognised UK national or regional media outlet, are not accepted. This must be an original document.